Running for just under 50 miles, India's most iconic train ride may not be the longest, but it certainly packs a punch. Navigating the fringes of the mighty Himalayan mountain range from New Jalpaiguri, the track zig-zags through icy peaks before weaving through verdant forests, charming villages and sloping valleys. It's a remarkable feat of engineering too – its infamous Batasia Loop negotiates a steep descent with a panorama of snowy Kanchenjunga – the world's third-highest peak. It comes to rest in the rolling tea plantations of Darjeeling. But the real allure of the Toy Train isn't just its landscapes, but its authenticity. Since its completion in 1881, it hasn't changed an awful lot. Setting foot in one of its carriages is like travelling back in time. And, as it's one of only two railways to be UNESCO listed, it doesn't look like it will be changing anytime soon, either. Clattering right through the heart of Australia, The Ghan links Adelaide on the south coast with Darwin in the north. Named after the Afghan camel trains which first pioneered routes through Oz's scorched centre, the 1,851-mile-long track covers some of the country's most jaw-dropping wildernesses. Watch the landscapes transform before you as South Australia's rolling hills and wine country give way to scrubland, desert and rusty peaks as you pierce into the sandy hues of the country's Red Centre. Pass through the aboriginal town of Alice Springs, learn about the gold-mining heritage of Tennant Creek and spot grazing kangaroos as you chug into the the Northern Territory and its capital, Darwin. Mix verdant gorges with chiselled alpine peaks when you climb aboard New Zealand's most scenic train route. From Christchurch, trundle through the fertile farmlands of the Canterbury Plains before staring down the tunnel-like gorges of Arthur's Pass and the valleys of the icemelt-fed Waimakariri River. 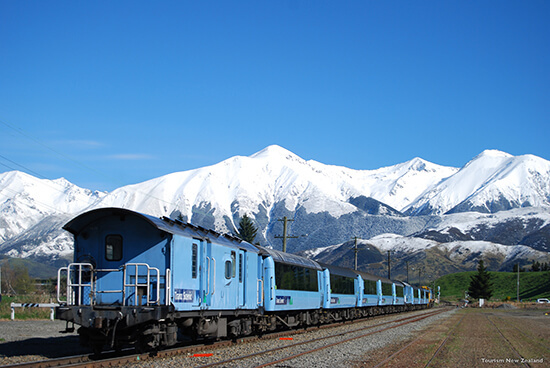 Gaze up at the snow-covered peaks of the Southern Alps, including New Zealand's highest, Aoraki / Mount Cook, before disappearing into the blackness of the Otira Tunnel. Emerge from the tunnel and into a different world: sprawling beech rainforests disappear into the horizon as you steam into the route's final stop, Greymouth. Now you have two choices – you can either do it all again (you can cover the return trip in a day) or use Greymouth as a gateway to the Punakaiki pancake rocks and iconic Franz Josef Glacier. This is Canada at its wildest and most majestic. See milky aqua lakes, vertiginous mountains and crashing rivers as the tracks act like a steel thread, sewing together the valleys that carve through the Canadian Rockies. Watch on as dry, desert landscapes merge into lush forests, skirting around jagged snow-covered peaks – Canada's very own wild West. Keep your eyes peeled too as wildlife thrives amongst its trees; bighorn sheep, bald eagles and moose can all be seen slinking through the landscape. If you're lucky, you might even spot grizzlies and black bears, too. 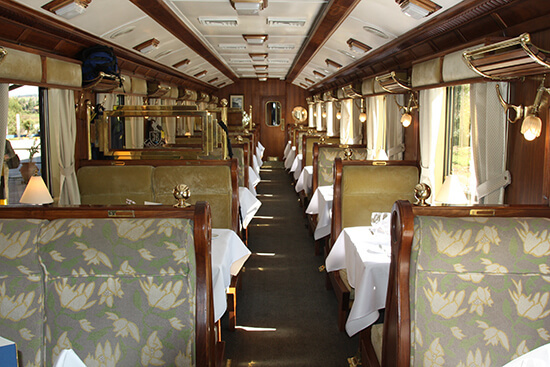 Not only that, but the train's renowned GoldLeaf Service (known for its glass dome roof) offers fine dining on board, the perfect complement to the five-star wilderness beyond the double-decker carriages. There are four routes to choose from too, with First Passage to the West (Vancouver to Banff, Calgary or Lake Louise) and Journey Through the Clouds (Vancouver to Jasper) being two of its most iconic. 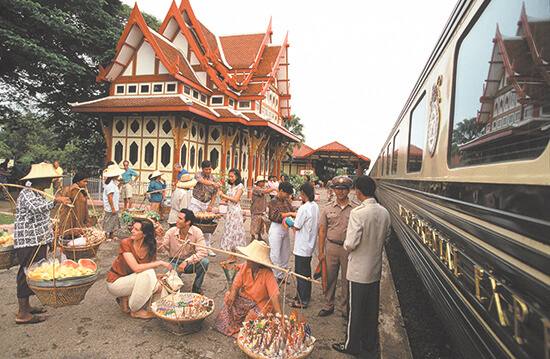 Weave your way through the tropics of Southeast Asia when you take a journey on the gold and green Eastern and Oriental Express. Sheltered from pesky mosquitoes in the cherry wood-panelled carriages, you can enjoy more of the landscapes outside. Pass by swathes of rainforests (watch out for low-hanging trees) and rubber plantations as the train traverses from Singapore to Bangkok, sandwiching Malaysia in-between. You'll get to explore the gold-domed mosque of Kuala Kangsar, skirt the tropical beaches of Penang and the Malaysian coast, and cross the bridge on the River Kwai (made famous by the 1957 film). Along the route, you'll pass friendly locals waving to you on bikes as they pedal to try and keep up, before heading back to the bustle and bright lights of Bangkok. Introduced as the Union Express in 1923, this iconic train didn't gain its cerulean coat until 1937, when its old wooden coaches were replaced by steel carriages. Nowadays, the Blue Train – which links Pretoria to Cape Town – doesn't just offer spectacular memories during the South African sunshine, but after dark is equally as inspiring too. By day, glide past rows of sunflowers, flocks of ostriches and abundant waterfalls shimmering in the sun. By night, keep your eyes peeled for the moon rising above the desert lands of the Karoo. Sure, there are cheaper ways to travel between the two cities, but opulence is rife aboard the Blue Train: gold-plumbed bathrooms are adorned with marble tiles and food, of the finest calibre, is served by your very own butlers. Very swish. Depending on your direction, you'll pitstop at a diamond mine or in the old town of Matjiesfontein and, if you depart from Pretoria you'll end with the lasting memory of rolling into Cape Town under the shadow of Table Mountain. With a 60-mile track, it's hardly an epic train journey, but the Hiram Bigham's treasures will have your nose firmly pressed against the window for the entire duration. 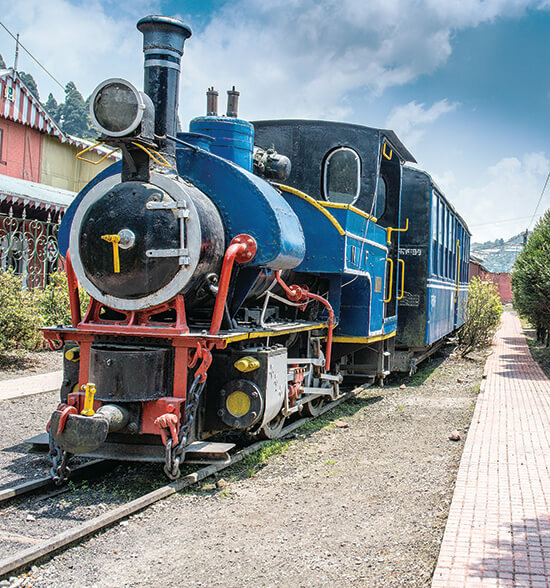 Named after the American explorer who discovered Machu Picchu in 1911, this ride helps you realise the Incan Empire in all its glory as you ride along parallel tracks. From Cusco, the ancient Incan capital, you'll chug past forested peaks and rushing rivers in the Sacred Valley. 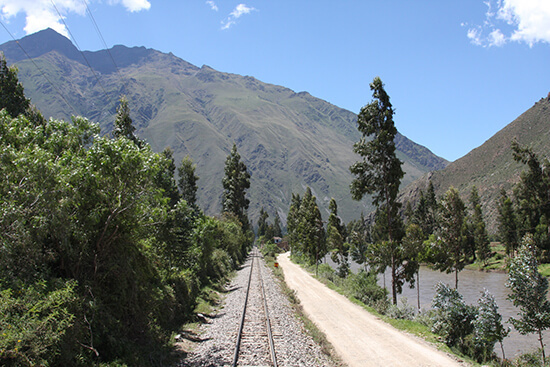 For a large chunk of the trip you'll track a section of the mighty Urubamba River as the train snakes its way up through the Andes. The carriages have remained largely kept in a classic 1920s style, while your ancient Peruvian experience will be coupled with live music – including crowd favourite 'ba-ra-rumba'. Just like the train rising through the Andes, your trip will reach a crescendo as you reach your final stop and the crowning glory of the Incas: the lost city of Machu Picchu. 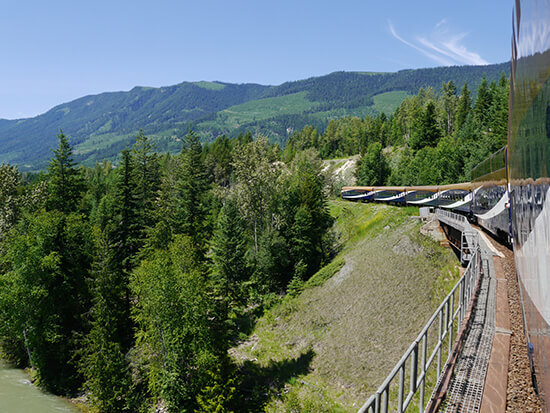 The world's longest train journey – and an incredible feat of human engineering – is one that is no doubt on everyone's bucket list. First and foremost, the seven-day journey unites China, Russia and Mongolia in-between. In one trip alone, you can wander Beijing's Forbidden City, march the cobbles of Moscow's Red Square or take a dip in the icy Lake Baikal. Not only that, you can glide with nomads (and even stay in a yurt) in the Mongolian steppe and tread through the frozen, remote heart of Siberia. It's not nicknamed 'the fairest jewel in the crown of the Tsars' for nothing. 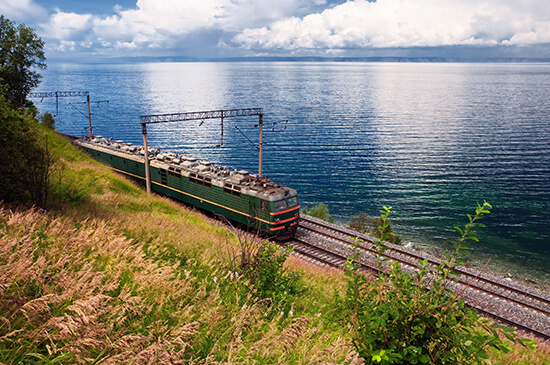 Make an appointment with our Travel Experts and they can help you include one of these epic rail journeys on your next trip. Our tailor-made holidays include rides on The Ghan, the Rocky Mountaineer, the Toy Train and more.